Since 1987, Village Florist has been delivering smiles and garnering praise throughout Los Angeles for our exceptional floral arrangements and highly personalized service. We are passionate about flowers and dedicated to bringing you creative vision to life with extraordinary arrangements and decor. Using the freshest flowers, inspired palettes and engaging textures, we will create unforgettable designs that artfully express your unique style and sensibility. From bold to delicate, modern to classy, we will custom-design a masterpiece for you, sure to delight the most discerning eye. We value each client and are committed to providing professional, reliable friendly service that will exceed your expectations. ...the designs are stunning, the flowers are fresh & they go above and beyond to turn your floral requests into a beautiful reality. Did an amazing job on my basket of 100 roses! I received the surprise delivery on-time, and they really went out of their way to make sure there were 100 red roses! Great customer service and beautiful work!! I live out of town but I ordered flowers from their website to deliver to my cousin who lives local. The florist emailed me a photo of the actual bouquet that was delivered. Very impressive. I couldn't be more happy with village florist. Very satisfied! ‍ I am so grateful to have Michael and Katherine for their high professional service and friendly support us arranging our wedding flowers. John and I were so thankful for helping us before and our big day. The flowers were so beautiful and fresh arrived. All the family, friends and guest were very impress the art work design and all the arrangement. In a word exceptional! Michael and Kathy were delightful to work with. So helpful and professional. Michael was wonderful to work with. I called regarding a custom arrangement and sent him over an inspiration photo from his yelp page. He followed through 1000%. I've attached a photo of the gorgeous arrangement he delivered for us. A+++ thank you!! Fabulous talent and service. My boquets and center pieces captured my theme and elegance completely! I would reccommend Kathy to anyone getting married and wanting excellence. We found Village Florist through our venue, we are happy we did! They did an incredible job on the flowers at our wedding. The flowers were so beautiful and added to the atmosphere. Kathy and her staff are so hardworking and dedicated! Kathy really knows flowers and makes your vision come to life. Village Florist is the premier flower shop for all your flower delivery services. We make sending flowers fun! 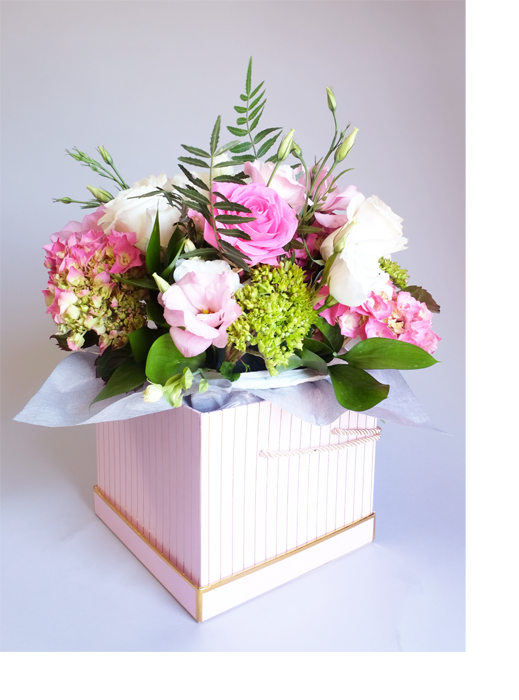 Our expert florists designs fresh and amazing floral arrangements with you in mind and make sure your flowers are delivered with care, regardless of the occasion or budget. We have same day flower delivery services, in the Granada Hills, CA and the surrounding area. You can also use our website for convenient online ordering and flower delivery.